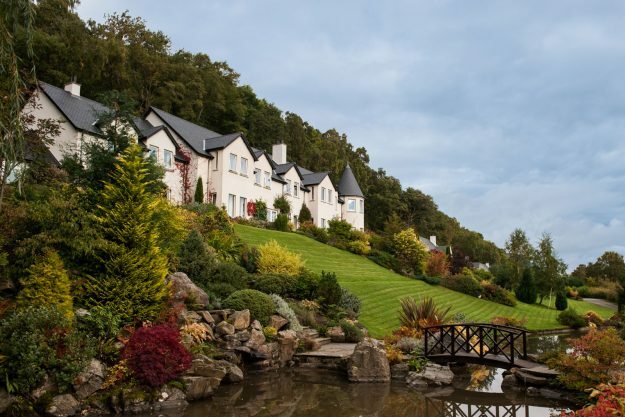 HOW you can run 26.2 miles around Loch Ness and enjoy a getaway you’ll never forget. For many, running a marathon is a bucket list experience that rarely gets ticked off, but what if you could bag the achievement surrounded by Scottish Highlands with Loch Ness for company? The run is quite possibly one of the most stunning routes you’ll ever come across, and we know because we ran it, all 26.2 miles of it. Following the marathon we soaked up luxury bubbles in a double ended Jacuzzi bath and sank into a King Size Sleigh Bed while looking out over the loch we’d just ran around. While the Loch Ness Marathon is no easy feat – being situated in the Scottish Highlands makes for a hilly race – the views are breathtakingly beautiful. In 2016 it was voted in the top 10 UK marathons by Runner’s World readers and it’s blindingly obvious to see why. 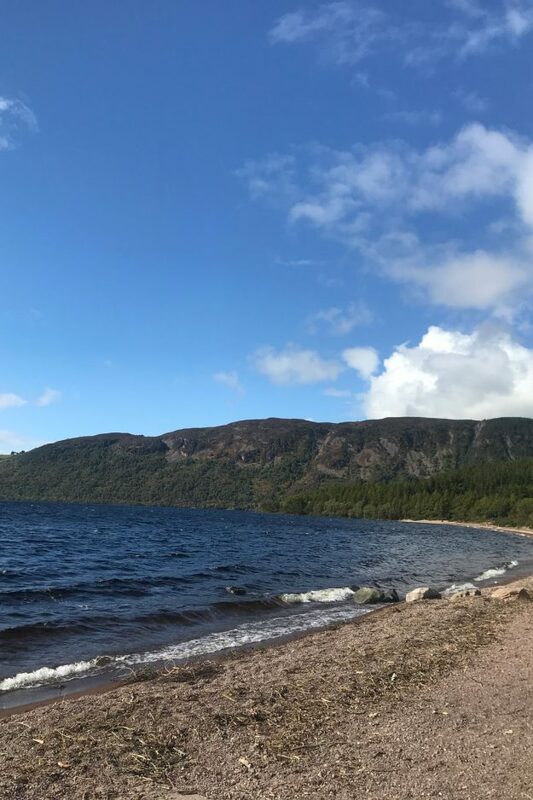 The Loch Ness Marathon follows a point-to-point route alongside the world famous loch, and there any many occasions during the run where the dense forestry opens up and the gleaming lake stretches out in front of you. At some points the water’s edge is so close it’s hard not to risk losing your momentum to stop for a minute and take it all in. The race starts at the top of stunning moorland, where the views roll out for miles and the klaxon sounds straight after a truly Scottish bagpipe send off, a sight that will give you goose bumps. It’s important to note, while the views are stunning it is positively freezing at the start line, so make sure you take some bin liners to keep warm or a jacket you’re happy to throw away once you begin the race. After the first few miles of high ground the marathon drops down onto the banks of Loch Ness and follows the loch’s south eastern shore. While hilly, the route is kind to you most of the way, with short uphill bursts followed by flat and downhill roads. However, you will have to endure a mighty hill at mile 19, but battling the steep will be worth it as you meet crowds of supporters during the last half mile into the town of Inverness. The runners and supporters along the route are fantastic too, when exhausted tears fell at mile 21 a 75-year-old man in a neon vest put a supportive arm around me and spurred me on. Ironically, a local was also stood holding a sign that read “if you’re not crying, you’re not trying” and gently waved it at me with sweet encouragement. At the finish line you’re met by huge cheers and a medal, as well as a finisher’s t-shirt and a goody bag, you can also head over to the tent to get some free warm Baxter’s soup and Chilli for a much needed refuel. However, if you’re not ready for the marathon, the festival also offers a 10k and a 5k run, both follow a route alongside the picturesque River Ness so you can still soak up some scenery. TIP: We were kitted out by Run4It prior to the race and after testing the products during training we chose to wear their trainers, socks and tops for the marathon. The website offers a huge range of products to improve your run so they’re worth checking out. To sign up to next year’s Loch Ness Marathon, click here. After the race we got a quick taxi to Loch Ness Lodge, a gorgeous luxury bed and breakfast that sits over the lake. 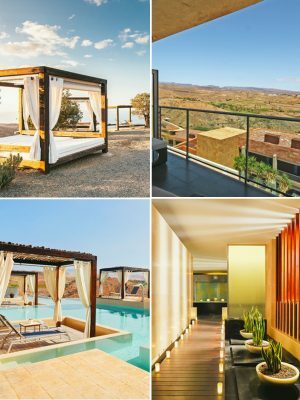 The views are so spectacular here you feel like the water could swallow you whole. 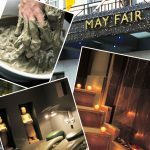 We were met by warm and friendly hosts and roaring fires, there were massages on offer for us at the spa and refreshments brought to the room. We stayed in the Affric room, one of two Premium Plus rooms which are highly sought after at the lodge – and it’s clear to see why. Viewing the loch from the huge windows inside Affric allows you to see it in a completely different light. Whilst running alongside it in the day feels almost rhythmic, inside the lodge the lake appears to glisten for miles in complete tranquility. So much so it’s hard to believe just a few hours ago you were running alongside it. 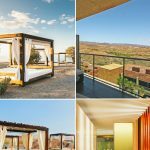 Aside from the insane scenery that engulfs it, the room boasts a Super King Size Sleigh Bed and a double ended Jacuzzi bath. It’s the type of space that makes you squeal with delight, a room so beautiful it makes you want to pinch yourself to make sure it’s real. 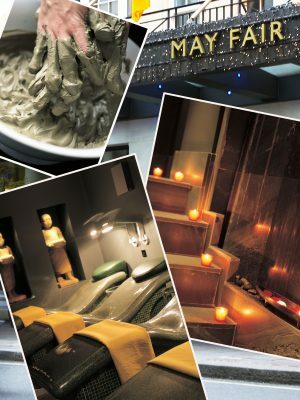 The five star amenities in this room made the much-deserved post-race wind down blissful, and while the fluffy dressing gowns and slippers made it hard to resurface from Affric, the elegant and relaxing decor – made up of shades of sand and sea – made it practically impossible. 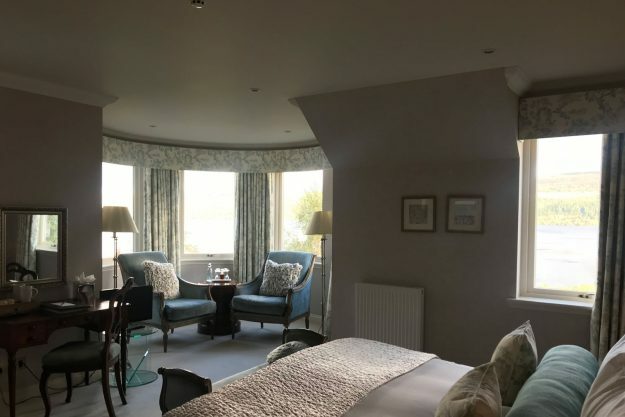 For those staying in one of the nine bedrooms at the lodge, complimentary tea and cakes are served between 2:30pm and 4:30pm, just make sure you book ahead of your arrival. Breakfast is served 8:30am to 10am and there’s a huge range of delicious options on offer. 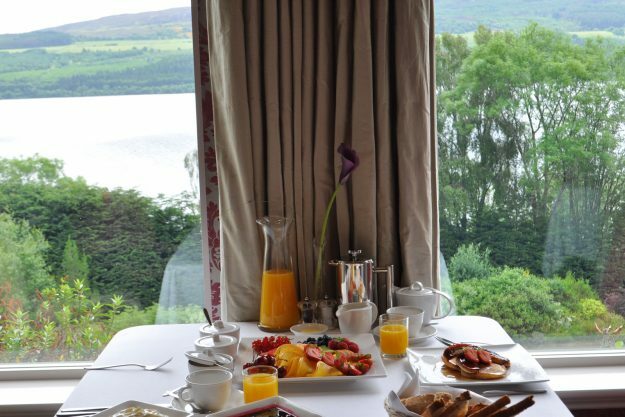 From a full cooked breakfast to pancakes, whatever you choose it’s exquisite drinking a morning coffee in full view of Loch Ness. 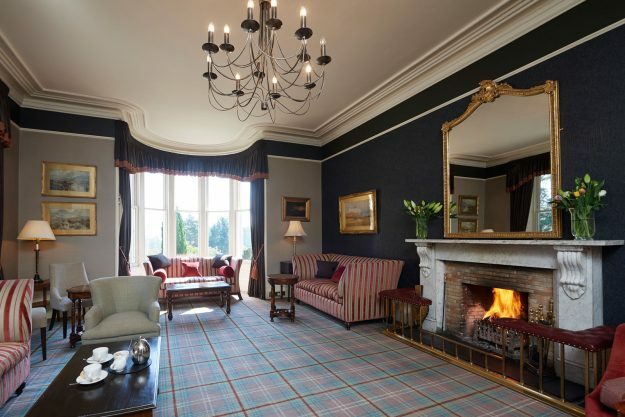 To book a room at Loch Ness Lodge, click here. 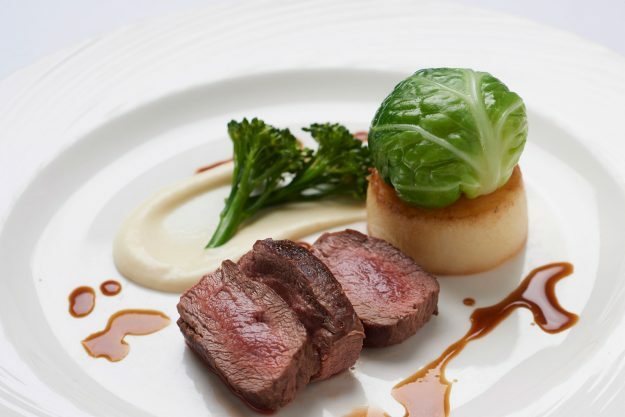 If you enjoy the amenities at the lodge as much as we did you might find it difficult to muster the energy to leave it for the evening, but if it’s for fine dining at the Loch Ness Country House definitely do. 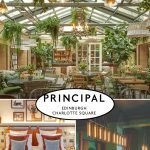 The restaurant holds 2AA Rosettes for Culinary Excellence and only uses locally sourced and seasonal products. Upon arrival we were again met by wonderful hosts and enjoyed recommended wine in front of another roaring fire and a comfy country-house style sofa. We retreated here at the end of the night too for a recommended night-cap before heading back to the Lodge. The small decadent dining room made for an intimate setting where everything from crispy pork belly, slow roasted beef and venison was available. Loch Ness Country House has a huge variety of shellfish on offer too, and we tried langoustines, scallops and mussels during the evening – all of which we’d highly recommend. We also went home with box of delicious desserts after being unable to finish them during the meal. During the short ride back to Loch Ness Lodge we were able to stop at the water’s edge to take pictures of the moon descending down on the loch. The starry night beamed off the black surface of the lake creating a striking silver line through the middle. To book a table at the Loch Ness Country House, click here. 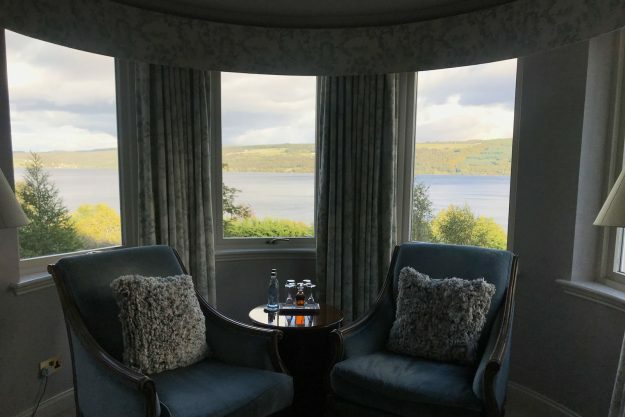 To make your weekend as jam-packed with Nessie as possible, here’s a few other top tips to perfect your stay. You can’t go to Loch Ness and not see it by boat. 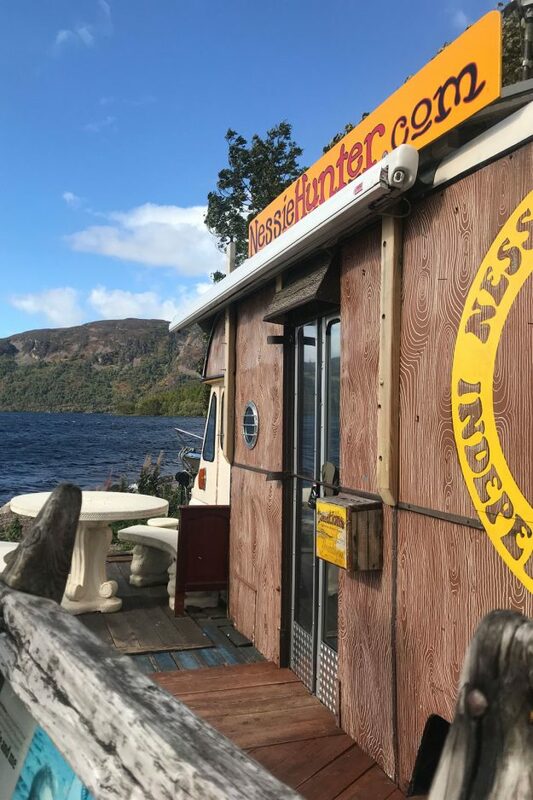 We enjoyed a Freedom Cruise and Tour of Loch Ness with Jacobite cruises from Clansman Harbour, the departure point is just a short walk away from Loch Ness Lodge. We departed the boat at Urquhart Castle, one of Scotland’s largest, and after exploring the ruins we watched a short video about the history of the castle and the families that resided there. It’s worth stopping off at a few small picturesque towns along the way, we were actually able to drive our marathon route the day before too. 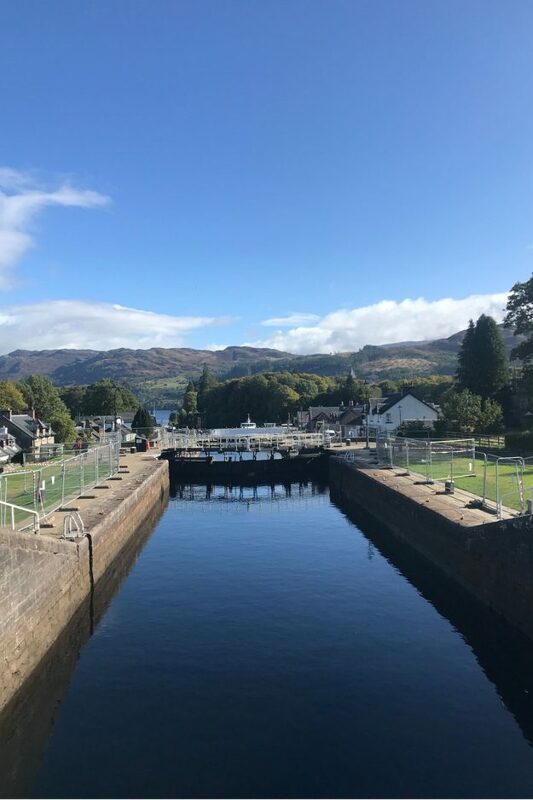 Fort Augustus is on the shore at the southwestern end of Loch Ness, where the Caledonian Canal cuts through the village making for very photogenic scenery. We only stopped here for a walk around and a coffee but it was lovely. Here is where you will find the Nessie hunter, a full-time monster hunter who lives in a mobile home on the shore. Steve Feltham has been hunting for proof of Nessie since 1991 and will happily talk to tourists about it. On the actual marathon route is The Camerons Tea Room and Farm Shop, it’s a wonderfully pleasant stop off tucked away and surrounded by Highland Cows. Despite being small, the cosy tea room has a wide range of options, including a vegan menu. You can find out more at Visit Inverness Loch Ness. For easy access into Loch Ness, we recommend flying into Inverness airport.